I’ve been sitting here for quite some time staring at my photograph above trying to figure out how to best share our recent sailing experience with Crystal Cruises on the Crystal Serenity in Alaska. This is our third sailing in Alaska, and the first thing I want you to know is that if you haven’t sailed Alaska’s Inside Passage, you must. Not only is the scenery stunningly beautiful, but for you first time ocean cruisers, the waters in the Inside Passage are smooth and more akin to sailing a river than an ocean. Therefore, no sea sickness worries. As I mentioned in a previous post, we came aboard the Crystal Serenity with very high expectations because of the bold claims and awards that Crystal Cruises shares on their website. For example, “Crystal Cruises consistently ranks among the top luxury resorts— at sea or on land— in the world. For more than a decade, Crystal has won an unprecedented number of top awards across multiple categories including being voted “World’s Best” by the readers of Travel + Leisure and Condé Nast Traveler more than any other cruise line, hotel or resort in history”. More top awards across multiple categories than any other cruise line, hotel, or resort in history. Bold claim. Right? Before I begin, let me share a little about how we like to travel. If you click the “our destination visits” tab above, you’re going to find that we haven’t done a whole lot of ocean sailing. In recent years, we’ve sailed with Norwegian, Paul Gauguin in the S. Pacific, Silversea, and now Crystal Cruises. 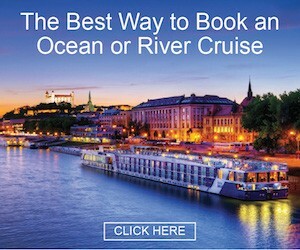 And, we’ve made and loved three European river cruises. But when we started The Roaming Boomers®, it was a bad experience that we had with a cruise line nearly 15 years ago that made me decide that we’d never cruise again. However, we wanted to see the Inside Passage and the only practical way to do that is aboard a cruise ship. So, I put aside my bad experience and hopped aboard a cruise ship back in 2012, and I’ve slowly but surely been changing my mind. Crystal Cruises has made us raving fans of their brand! Carol with our butler, Alfredo from Portugal. Let me just say this at the outset, Crystal Cruises has made us raving fans of their brand, and you know what? I can’t wait to again board another Crystal Cruises ship. We LOVE the Four Seasons Hotels and Resorts brand. Crystal Cruises is like the best Four Seasons Resort floating at sea. Absolutely everything was remarkable and first class. Over the coming days and weeks, we’re going to share articles with you about the ship, the staterooms, the food, the entertainment, the ports of call and much more. But as to not make this one post to long to read, I want to share the one overriding impression that comes to mind when we think back about our Crystal Cruises experience. Yes, the ship was marvelous, the food fabulous, our stateroom luxurious, and the ports of call beautiful beyond imagination, but it was the staff on the ship that made the experience remarkable. Not only did they learn and greet us by name at every opportunity, but they also achieved the remarkable, they became family and friends. We met a gal that has sailed with Crystal Cruises 93 times. 93 times! Even more remarkable, there were three ladies who actually live on the ship. And one of them has lived on the Crystal Serenity for over 8 years! So, how does a luxury cruise line go from good to great? 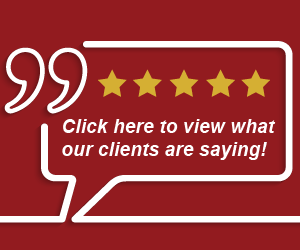 You make your passengers family, truly care about their needs and lives, and have them love the experience so much that they want to come back for more. You know, Carol and I have enjoyed some of the finest luxury resorts and cruise lines in the world, but we’ve never been invited to become a part of the family before. Does this make any sense? When Carol and I got out of bed our first morning back home, we were lamenting that we didn’t have Alfredo, our smiling butler to help us greet the new day. Our travel brand is all about relationship. Crystal Cruises understands the same thing, and they’ve worked hard and have earned the right to have me gushing about my relationship and new friends at Crystal Cruises. Carol and I are sailing again with Crystal Cruises again in the fall of 2017, and we can’t wait to again go see our friends on the Crystal Serenity and explore another part of the world with them. Well done Crystal Cruises. Well done! Disclosure: our experience was provided by the fine folks at Crystal Cruises. However, all editorial content and opinions are strictly our own. We call ’em as we see ’em. Enjoyed reading today’s post, can’t wait to hear about the entire trip with Crystal. BTW, thanks again for your assistance with all of our 2017 travel plans. We’re soooooooo looking forward to our big European Adventure.